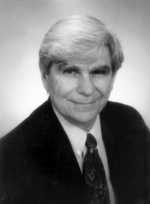 GARTH NICOLSON, Ph.D. received his Degree in Biochemistry and Cell Biology from the University of California, San Diego in 1970. Presently, he is the Chief Scientific Officer of the Institute for Molecular Medicine in Irvine, California. The Institute is a non-profit private facility dedicated to discovering new diagnostic and therapeutic solutions for chronic human diseases. He was formally the David Bruton Jr. Chair in Cancer Research and Professor and Chairman at the University of Texas M.D. Anderson Cancer Center in Houston and he remains Professor of Internal Medicine and Professor of Pathology and Laboratory Medicine at the University of Texas Medical School at Houston. He is also Professor of Comparative Pathology at Texas A&M University. Professor Nicolson is among the most cited scientists in the world, having published over 460 medical and scientific papers (including 3 Current Contents Citation Classics), edited 13 books, served on the Editorial Boards of 12 medical and scientific journals and is currently serving as Editor of 2 journals: Clinical & Experimental Metastasis and the Journal of Cellular Biochemistry. He has also actively peer-reviewed research grants from the U.S. Army, National Cancer Institute, National Institutes of Health, American Cancer Society and the National Foundation for Cancer Research. Dr. Nicolson will speak on Infections Related To Cancer.